Born and raised in Idaho, Olani is a true Idaho native who attended Rick's College in Rexburg, Idaho and graduated from University of Idaho in Moscow. Having taught High School Vocational Agriculture for four years prior to entering the financial services industry, Olani has a unique ability to break down complex financial issues into easy-to-understand language. Olani is a Registered Representative associated with The O.N. Equity Sales Company, Member FINRA/SIPC, and an Investment Advisor Representative associated with O.N. Investment Management Company, a Registered Investment Advisor. 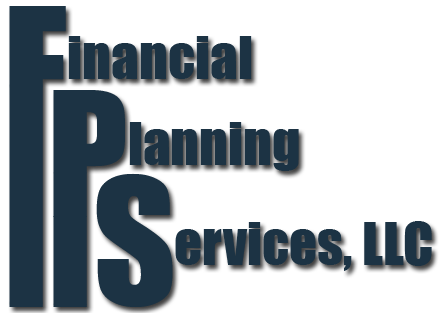 He has been in the insurance and financial industry for 39 years, joining Financial Planning Services, LLC in September of 2001. Olani travels throughout Idaho, Oregon, Utah and Nevada to meet with clients on a regular basis. He is a current member of the National Association of Insurance and Financial Advisors and a former member of the Boise Estate Planning Council. Olani specializes in employer-sponsored retirement plans and rollover IRAs. He focuses heavily on creating investment programs that emphasize efficient management of assets; asset allocation and rebalancing strategies designed to reduce risk due to death or disability; estate plans, working with tax attorneys, CPAs and trust officers to eliminate as many transfer costs as possible; and he works to provide needed liquidity at death to minimize estate transfer costs. His training includes earning his CLU ® (Chartered Life Underwriter) designation, ChFC ® (Chartered Financial Consultant) designation and an Advanced Estate Planning Certificate from American College. Olani and his wife, Caren, are parents of six children, grandparents of 13, and are active in the Church of Jesus Christ of Latter Day Saints. When not working, Olani can often be found working in his yard, hiking in the mountains and helping others wherever he can.